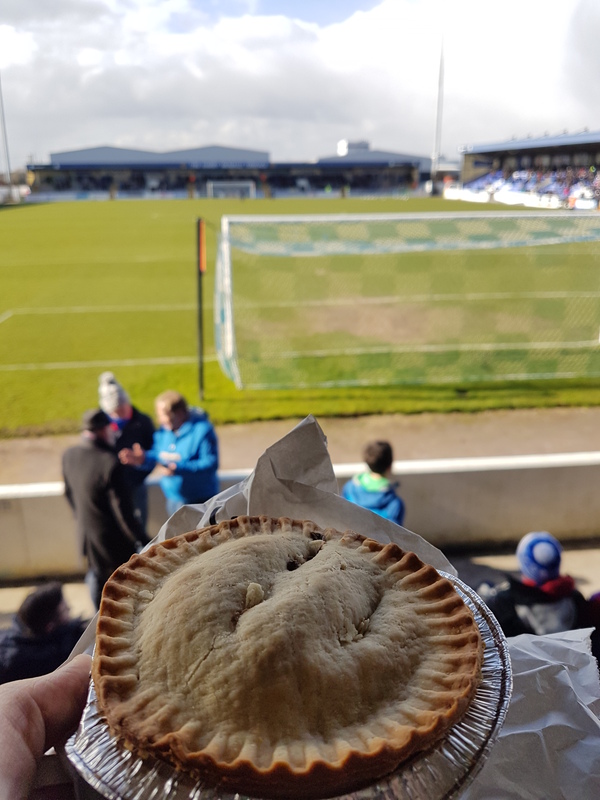 Comments: Aldershot away at Chester – a glowing advert for non-league football with its bursts of arctic winds, pissed bloke shouting profanities at both teams, awful goal-less football and underwhelming pies. People talk about ‘El Clasico’ as the pinnacle of football, well Chester v Aldershot may well be the nadir, ‘El Crapico’ if you will. With shots flying high, wide and not very handsomely out the ground, it was up to a searing hot lump of pastry to warm the cockles. Of course, when you need a pie with more degrees than a professor you inevitably end up with one containing all the burning force of room temperature. Despite being heated by a man blowing aggressively onto its crusty roof, the steak pie managed the impressive of feat of remaining burnt out, void of any watery residue, like Mars but even less habitable. Floating in a sea of murky tepidness, the steak slabs drifted between chewy toughness and gristly repulsion. A wholly unsatisfying pie and football match on almost levels, summed up by the highlight being a chant about midfield maestro Manny Oyeleke’s bulbous salutation and ball retention.